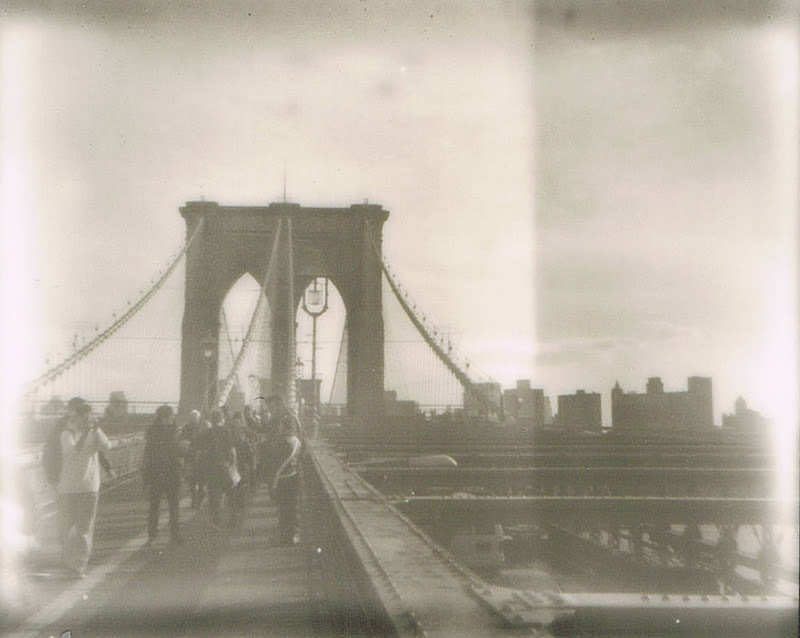 I took a quick walk on the Brooklyn Bridge yesterday, one of my favorite spots in the city. 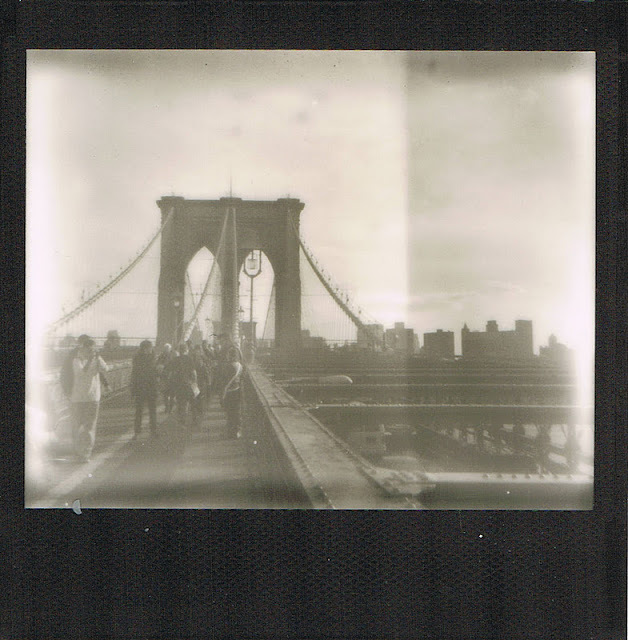 As you can see, I'm still experimenting with Impossible (instant) film. Not really getting the contrast and sharpness that I want, but still working on it :) I think the black frame on the PZ600 film for my spectra is pretty cool. But in the end, I always seem to prefer the Polaroid shots with the border cropped off. What do you think? I broke out the iPhone to take a few shots as well. The images below were taken with the trusty ol' iPhone Hipstamatic, sure to get a good shot every time! I know these photos aren't very "Christmas-y", but I just don't take many festive shots. I'm not a scrooge or anything, it's just the way it is :) Wishing you all a wonderful holiday, however you celebrate!! I like all the photos. Each has something unique to offer. 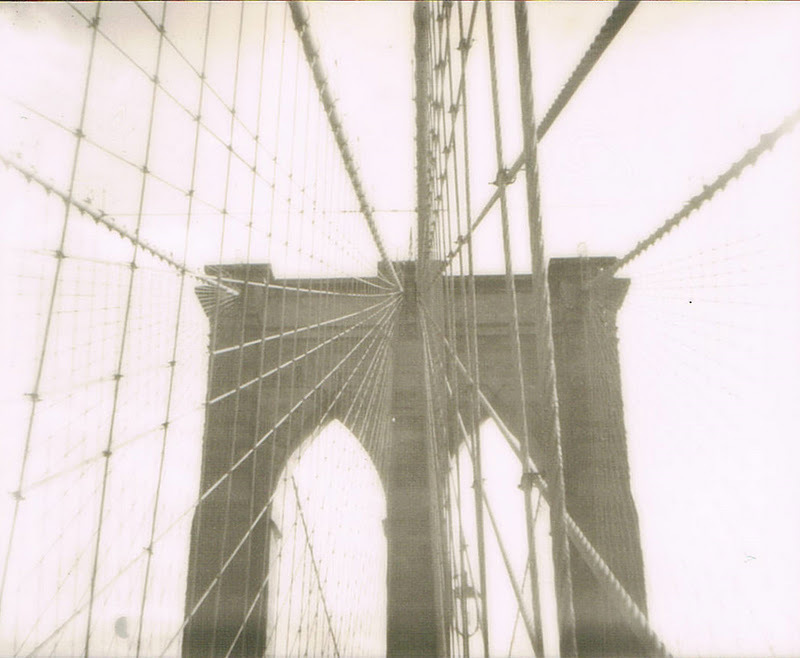 The Brooklyn Bridge is a fave of mine. Ohhh, I am loving these so much, that last one is my favorite!! Wow, I have been off doing the holidays for awhile and everything has changed. Your bridge photos are fantastic! I am now going to read up on what I missed to see what you are talking about because maybe it is something I would like to join in the new year. 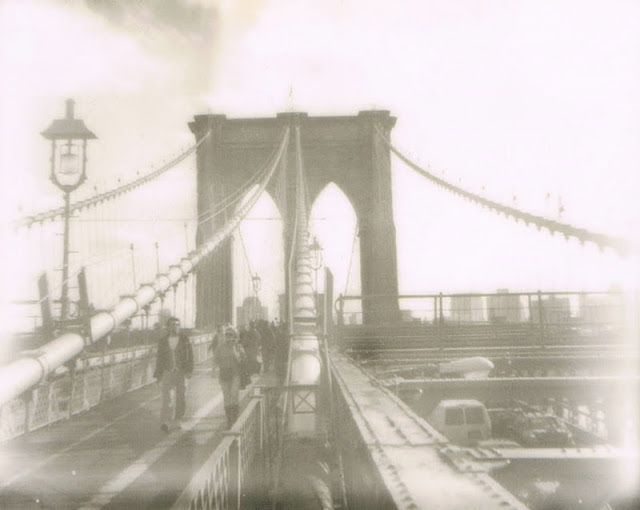 Love Brooklyn Bridge and these are so beautiful!! I love the results you are getting with this film--I too like them all. Happy Holidays. yep...the black cut off is better. it's too distracting for me...but hey, that's just my opinion. I think these are all stunning, U.M! Happy holidays! Didn't know about the black frame film! I love it WITH the black border...very nice. Your iPhone shots are quite lovely as well. Very cool lines in that first one. Hope your Christmas day was a good one! Borders or no borders, these photographs are just wonderful! love, love, love these shots. I always love seeing NY through your lens. You really rock the iPhone too. Hope your holidays were delightful! The effects of the film are really vintage and neat. I do like the black frame around the picture. Your IPhone takes great pictures too! I need to purchase one! I love the black background - I think they are all great photos really - I understand your pain with the IP - I just put mine away for a time out, I was getting so angry with the results and its not supposed to be so maddening right? I have a new app you MUST try 6x6. You're gonna love the B/W. and try it in true 6x6 mode.